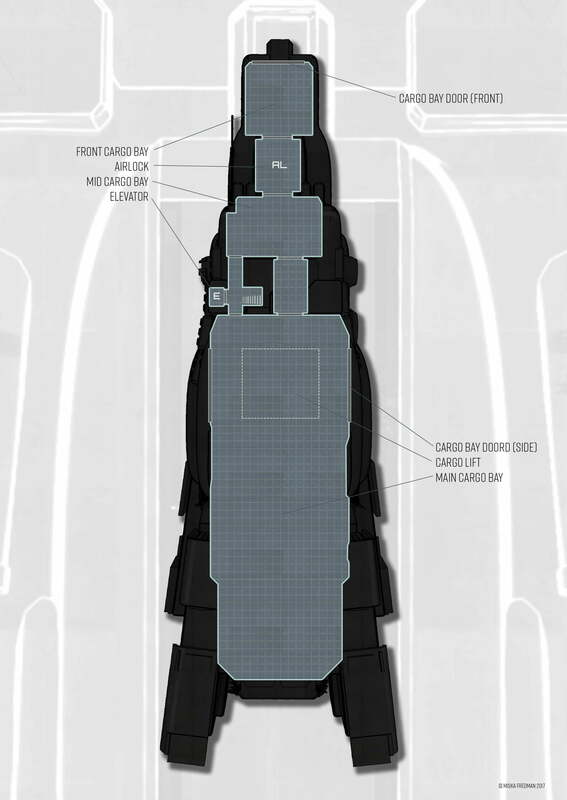 Cargo ship Jinshen was originally designed as an asteroid mining ship, but it was later repurposed as a cargo ship. 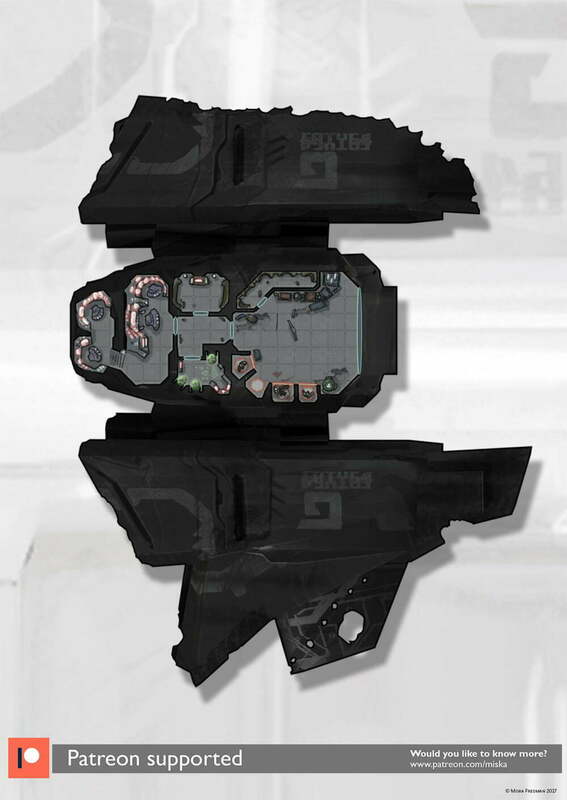 The ship has three levels and usually operates with a crew of twenty. 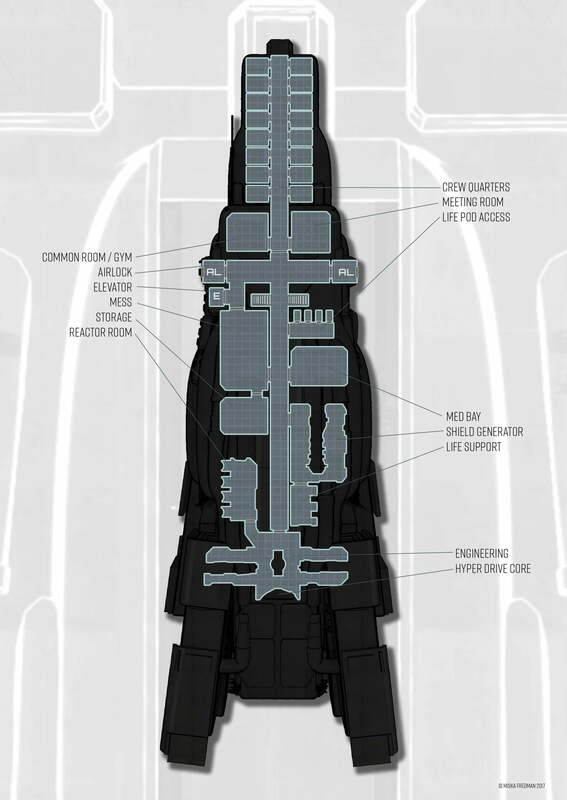 Marauder-class transports are mid-sized freighters used typically to transport cargo, troops and/or prisoners. 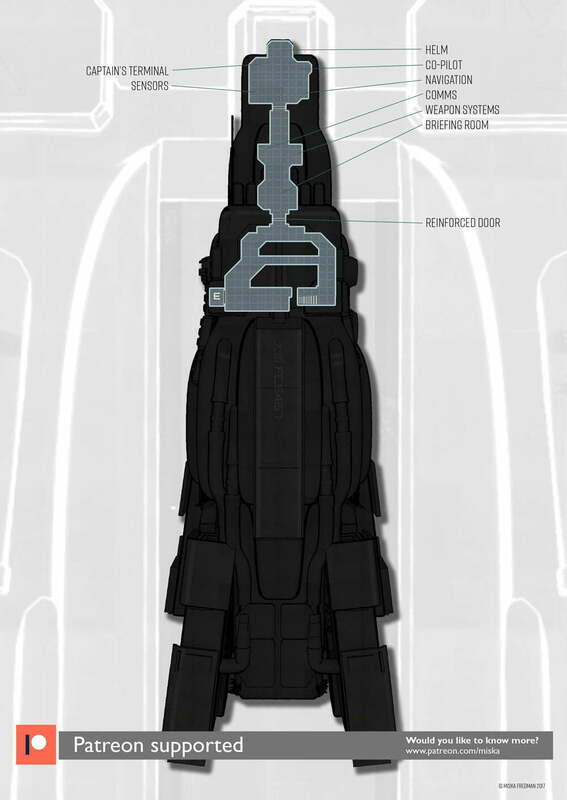 The transport is equipped with a hyperdrive and uses astronavigators (prescient alien creatures capable of navigating the ship intuitively in hyperspace) to navigate over interstellar distances.